Complete Streets: what are the pros and cons? Ever since the Plum St. reconstruction debacle, the City Council has shown interest in rethinking our streets and roads. The Minnesota Complete Streets Coalition is a cooperative effort that began in 2009 through the work of Fresh Energy, Blue Cross and Blue Shield of Minnesota and Transit for Livable Communities. The coalition “seeks to improve and ensure access to safe travel choices for Minnesotans” by encouraging cities to build their roads with all users in mind, not just cars. For a street to be "complete," it must take into account what types of transportation the road is used for, how heavy the traffic is and what the surrounding area is like. Along with attending to the needs of road users, the coalition urges cities to make wise environmental choices during construction projects. Suzie Nakasian approached the EDA with a funding request from the Northfield Grassroots Transit Initiative. The group has created a collection site of all transportation options available for residents and visitors alike. The funds would be used to assist in public outreach/publicity campaign including the use of a Spanish language editor, brochure and poster printing in both English and Spanish, and radio and newspaper advertising. 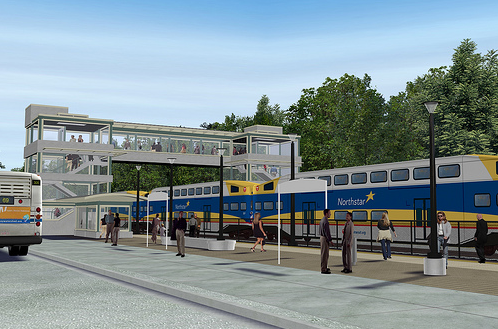 According to Northfield Grassroots Transit Initiative founding member Suzie Nakasian, the website helps fulfill some of the group’s goals, which include decreasing private vehicle usage and increasing mobility of the car-less. 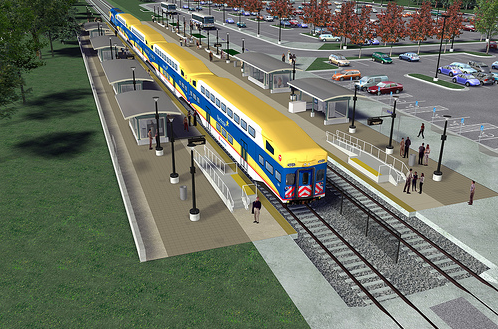 The Northfield Grassroots Transit Initiative was formed by Northfield community members in 2008 after a group of Carleton College students and the organization Growing Up Healthy simultaneously held events to raise awareness about transportation and poverty. 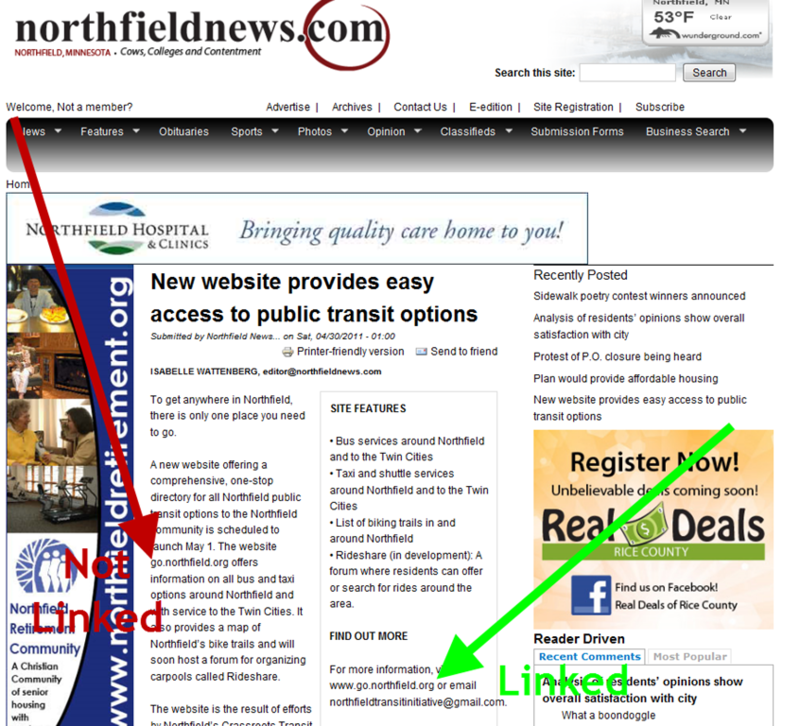 Update May 1, 6:15 am: I’ve corrected the text above, noting that the Northfield News article does link to the go.northfield.org site. They don’t link to the new site in body of the article, but they do provide a link in the right sidebar. See this screenshot with arrows/notations (right-click and open in a new tab to view a full-size version of the screenshot). The New York Times Magazine posted their ninth annual “Year of Ideas” issue. The above two items caught my eye; ideas like this are gaining traction. Read more here. 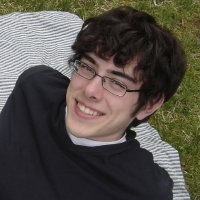 Sean Hayford O’Leary is the primary blogger thus far, with Neil Lutsky and Bill Ostrem chiming in with comments. Tunnel under Hwy. 19 RR crossing studied. Huh? There will be a public open house for input to the multimodal transportation study for Highway 3 /Highway 19 at 7:00p.m. this coming Wednesday, July 22, at the Armory. 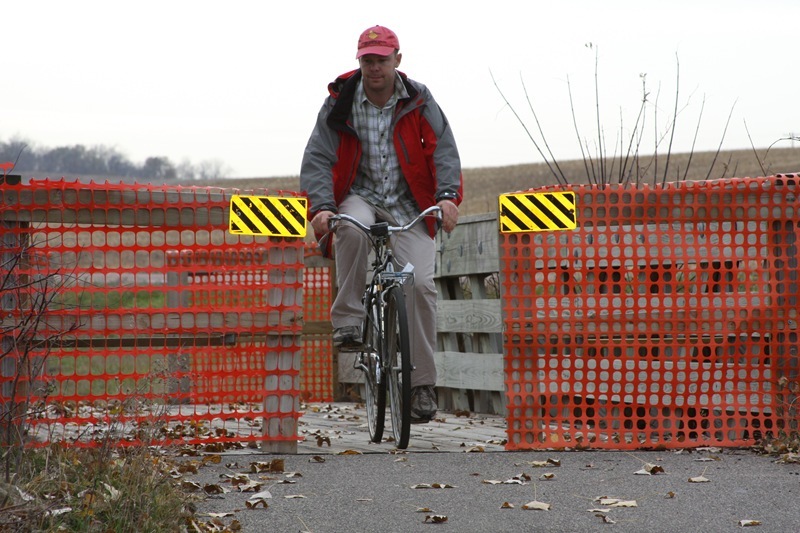 Why the knuckle-busting barriers on Mill Towns Trail bridge? Josh Rowan sent me this photo of barriers on one of the Mill Towns Trail bridges. He notes that the barriers are very narrow, forcing bicyclists to put their feet down lest they risk scrunching their knuckles if one of their handlebar-mounted brake levers makes contact with the barrier as they pass through.